With just a few days left in office, New Jersey Governor Chris Christie is reflecting on his presidential bid, saying that were it not for Donald Trump's stunning campaign, he would be in office today. "It's incredibly frustrating to think to yourself, 'Wow, if this guy were not in the race, we'd win this thing,'" Christie told NJ.com. He added, "And I absolutely believe if Trump had not gotten into the race I think we would have won." In a wide-ranging interview with NJ.com, Christie talked about the presidential race, which he said was "incredibly exciting" and "at times very discouraging." "(The) stakes are exciting. The issues you're talking about are exciting," he said. "And ultimately frustrating at times because the reaction I would get from people and Mary Pat got this from going door to door, you know, they'd say, 'Oh gosh, you're Governor Christie's wife? We love him. He's so smart. He's so direct, he's so blunt. We love him. We're voting for Trump. But we love your husband. He's amazing.'" 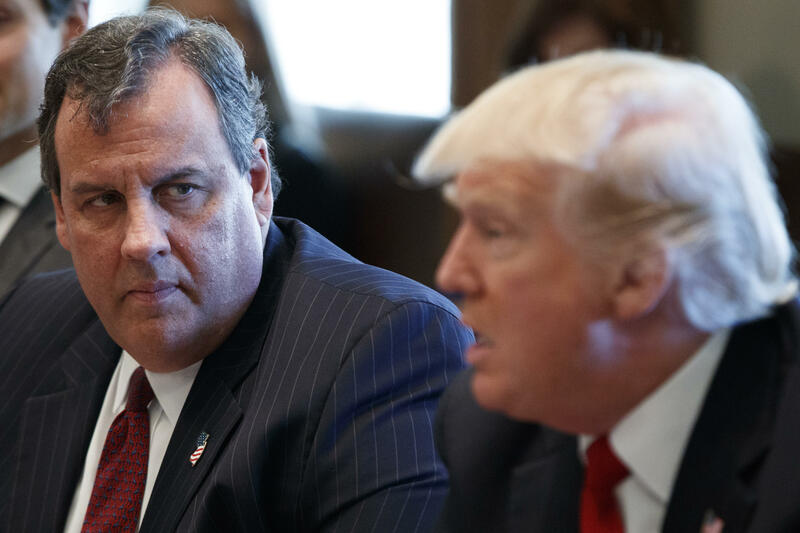 Following the 2016 race, Christie was tapped to serve as head of Mr. Trump's presidential transition team and later served as the chair for the president's commission on combatting the nation's opioid epidemic. Christie, who rated himself as a "B plus" governor with "A" moments, said that he had "no interest in being a small-bore governor with tiny accomplishments that wouldn't offend, but probably wouldn't impress either. I wanted to be a governor of consequence and do big things." But he also acknowledged the larger blemishes on his career as governor -- particularly the "Bridgegate" scandal and his widely-panned family beach vacation during a state-wide government shutdown. "What Bridgegate did was deprive me of the benefit of the doubt - that's all," he explained. "That's a big thing. But that's what it did." He added, "The part that I think is grossly unfair, that there was a rush to judgment and that rush to judgment turned out not to be borne out by the facts." As for the photo showing him and his family lounging in chairs on a deserted state beach, "You guys took that picture to make me look bad." He claims the coverage was a "ridiculous story" intended to "hurt" him. In light of his controversies, Christie says he has no "major regrets" over his 8 years in office. "Are there things that I would have done differently? Of course. But I've got to tell you, Matt, I'm sitting here with you with 19 days to go, I don't have any major regrets," Christie said. "I did it the way I wanted to do it and I was myself the whole time." As for what he'd miss most about being governor: "It's not bad not having to park (your car). I'll miss that," he joked. "I think when people look back at it and when they compare what other governors have done before me, let's say in the last 40 years. I don't think that there's anybody who's done more of consequence over the last 40 years," he added.